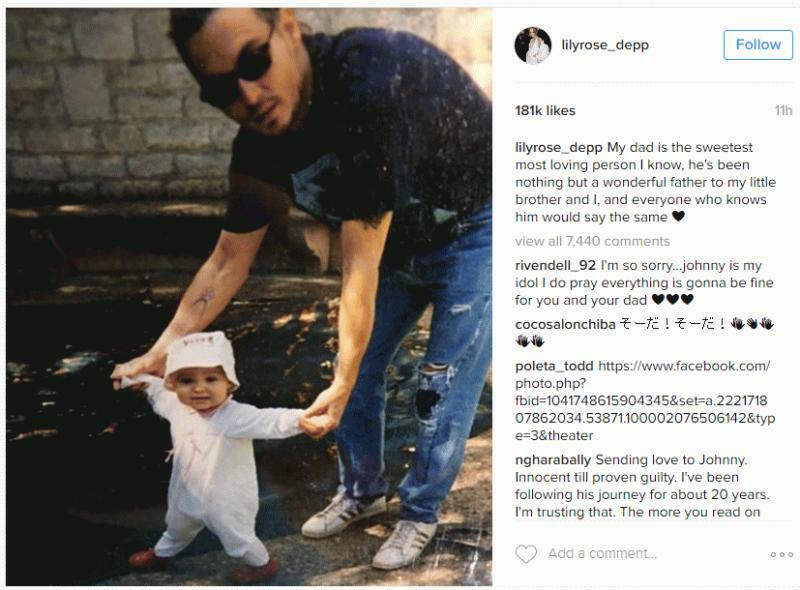 Los Angeles, CA, United States (4E) – The daughter of Johnny Depp, Lily-Rose Depp, broke her silence regarding the abuse allegations of the estranged wife of her father, Amber Heard. Lily-Rose, 17, and her brother, 14-year-old Jack, are the children of Johnny with his ex Vanessa Paradis . The comments of Lily-Rose come after Heard requested for a domestic abuse restraining order against Johnny. A judge has granted the request on Friday. As per the order, Johnny has to stay 100 yards away from Amber and that the “Magic Mike XL” actress has the right to stay and live in their family home. The restraining order was given days after she filed for divorce from the “Alice Through The Looking Glass” actor. She cited irreconcilable differences as the reason for the divorce. While in court, Heard and her legal team presented a photo wherein it showed that she had a bruise on her right eye. She also looked visibly bruised when she made her way to her vehicle after leaving the courthouse. An insider shared, "This is not about right now. It's an ongoing thing that she needs protection from. She did what she had to do protect herself. It wasn't an easy decision, but this is the truth. It was very hard for her." A statement from the representative of Depp says that the actor will not respond to “any of the salacious false stories, gossip, misinformation and lies about his personal life” citing the brevity of his marriage and the recent death of his mother.